Big Five was founded on a vision of exploring our planet in responsible and enjoyable ways. That remains at the core of our small and purposeful travel company. Our commitment to providing great travel experiences with meaning dates back to the beginnings of Big Five in Nairobi, Kenya. In 1973, the founder and CEO, Mahen Sanghrajka, had a dream to share the Africa that he loved with small groups of like-minded travelers. Early on, he became part of a group of tour operators who established a code of ethics for wildlife safaris that included things that seem obvious today that were not in the mid-19770s such as prohibiting smoking in national parks, and training guides to respect wildlife by not disturbing them by driving too close to animals. In 2007, we founded the nonprofit Spirit of Big Five Foundation. It aims to broaden the scope and depth of our support for wildlife conservation and habitat restoration, protecting cultural heritage and supporting poverty alleviation, education and healthcare initiatives in the places we visit. Today, Big Five has grown to offer unique trips of a lifetime to countries around the world. So, too, has our deep commitment to sustainable tourism grown. Big Five is the first travel company to provide both travelers and travel advisors an invaluable and east-to-use resource that explains sustainable tourism and provide basic rankings for each company to provide guidance to how each country is doing on the sustainable front. We began with our South America destinations at the end of last year with galapagaos.com. This website is not really about the Galapagos Islands. Rather, it was named after the legendary islands of nature, and specifically created for travelers who want to learn more about sustainable tourism – beginning in Latin America and soon expanding to the rest of the world. Based on our years of exploring these places, we want to provide a snapshot about what these countries are doing to embrace sustainable tourism in order to also enable you to craft special trips to spectacular destinations, while helping to protect them for future generations. The site also has a blog related to the site. For Galapagos.com, we selected one of Darwin’s finches as the symbol and call the blog Wandering Finch which will cover topics related to the region and sustainability. Then came safaritours.com which deals with our Africa destinations. The African elephant seemed the obvious choice for the continent. The largest land mammal on earth, African elephants once roamed much of the continent. Over time, their numbers have diminished dramatically due to changes in habitat, loss of migration routes, increased human settlements, ivory hunting and poaching. Today, with estimates of only about 300,000 wild elephants remaining, down from more than 12 million in the early 1900s, they are the focus of intensive conservation efforts, from banning the sale of ivory, to combatting poaching, to engaging in landscape-level conservation, needed for large migrating animals, chief among them the elephant. The blog for this site is the World of Ellie, which will also looks for ideas and answers. We just completed the last of our trio of sites with visibleasia.com, which will encompass Asia and the South Pacific with topics related to the region and sustainability. The tiger is the chosen symbol for Asia because these magnificent animals once roamed widely across Asia, but over the last century they have lost a startling 93% of their historic range. In fact, since the 1990s, tiger habitat has declined some 41%. The global wild tiger population at the start of the 20th century was estimated to be around 100,000, compared to today’s estimates, which are thought to run between 3,062 and 3,948 individuals. Tigers face the same pressures as so many other species – habitat destruction, habitat fragmentation and poaching. There is hope on the horizon for the regal tiger as conservation projects are being carried out across the tiger’s kingdom. Visible Pause is the blog for this region. In addition, we have one more tool that is useful and selecting destinations of genuine interest. That is our Your Travel DNA website, yourtraveldna.com. It’s easy and fun to use. We created a place where both travelers and travel professionals can come to explore each individual’s life interests, and where those interests may lead. Here, we reverse the expected process currently accepted in planning a vacation. 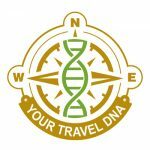 Instead of trying to fit the guest into a destination, with DNA, you can discover the best destinations for you that speak to your particular interests and passions whether you are an Adrenalin Seeker, a Culture Junky, a Star Gazer or something more. We will soon have a Kids Travel DNA section on the site as well. We hope you will join the conversation. Traveling with Big Five helps support local people and the planet. The United Nations as well as organizations, companies and individuals around the globe continue to develop strategies for increasing awareness and practice of Sustainable Development. We chose to share some stories in a series of blogs about responsible travel and tourism. Now that we have our trio of sustainable websites launched, you can look for more blogs about a variety of aspects, ideas and topics related to sustainability at the blogs links above. Join the discussion.